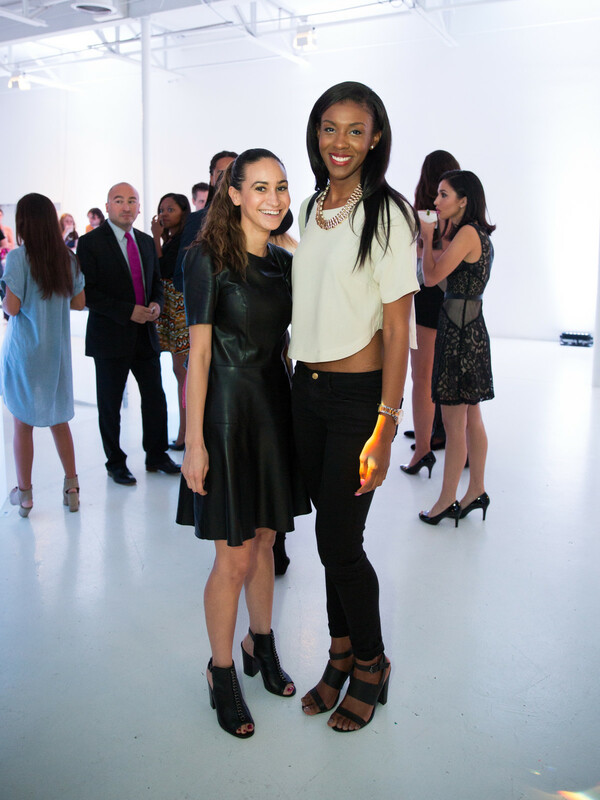 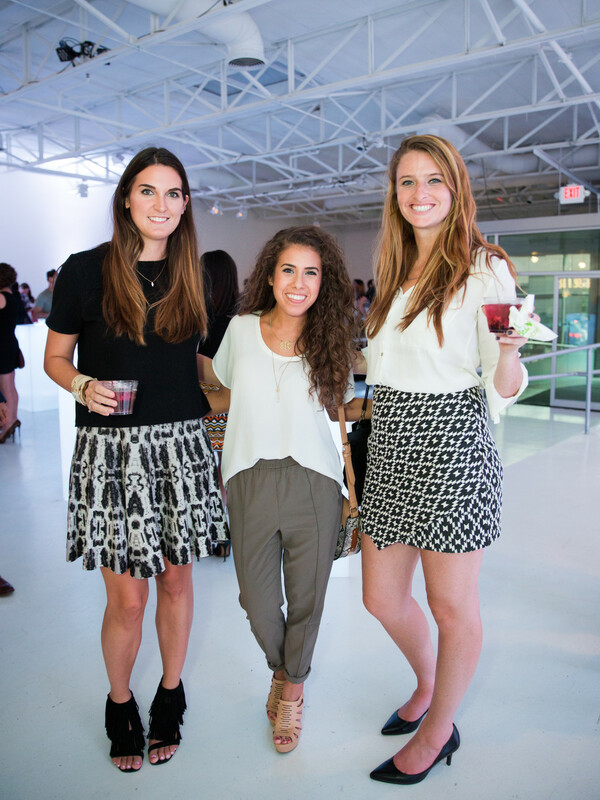 At the fall rendition of our CultureMap Social, we tried something a little different. 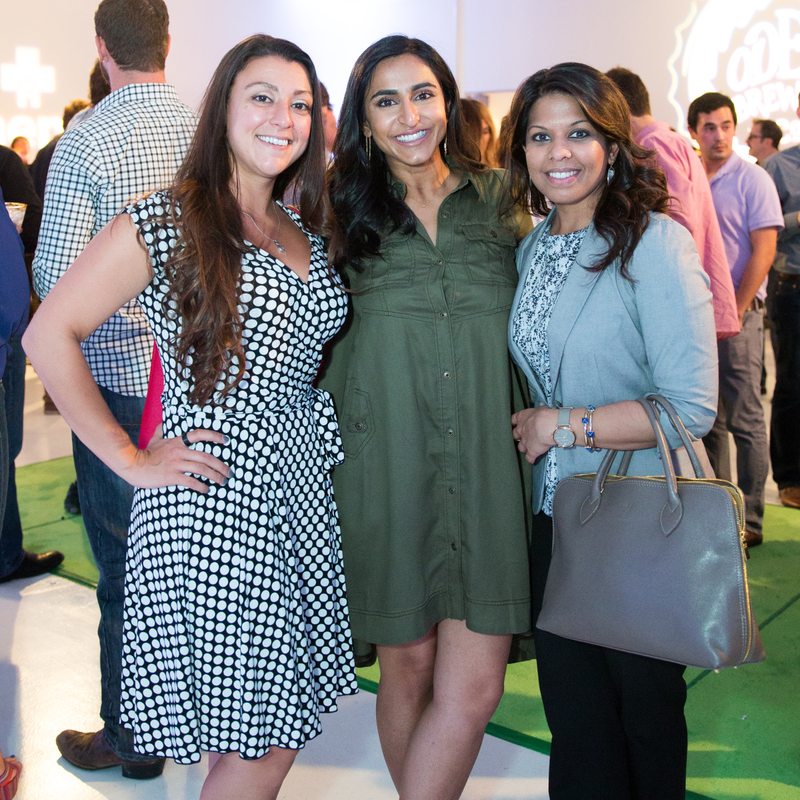 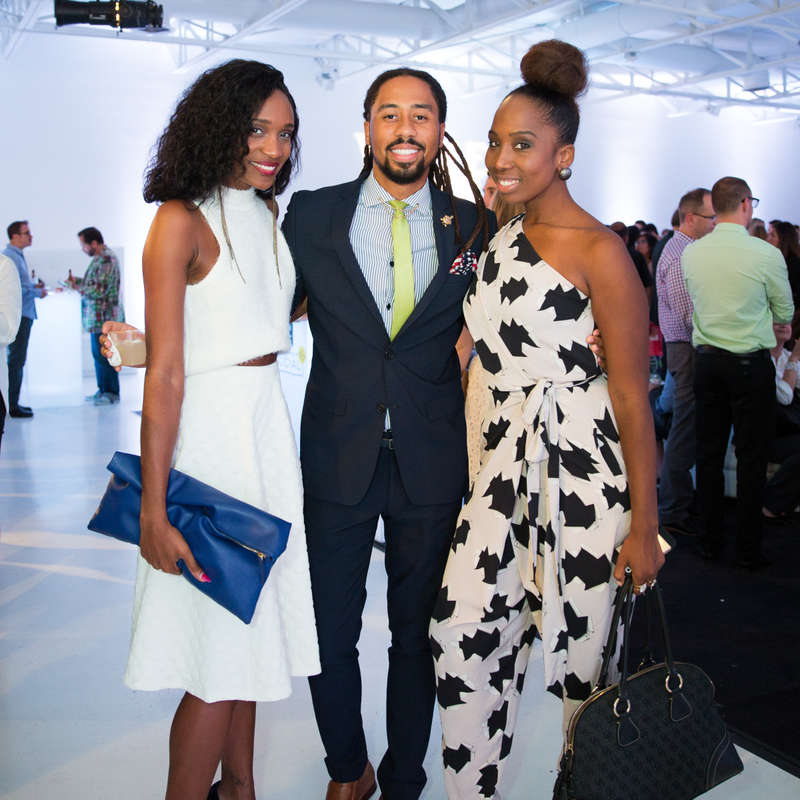 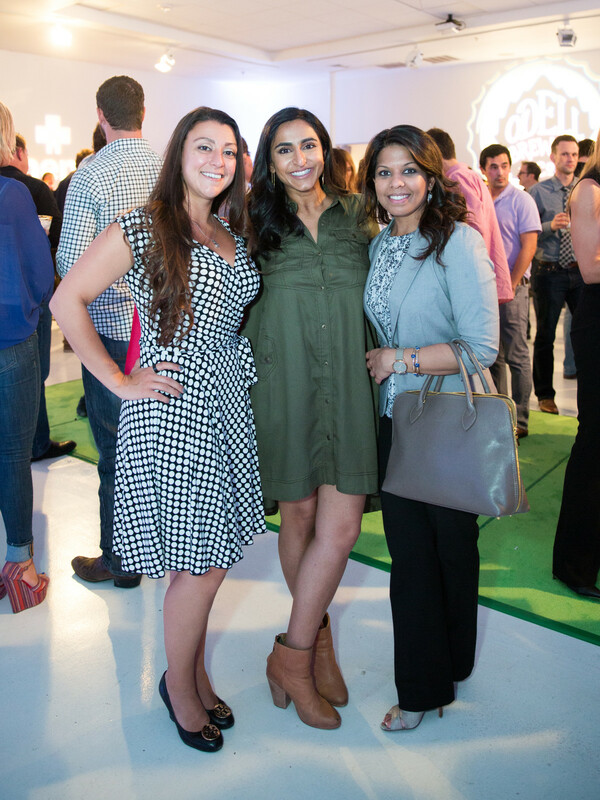 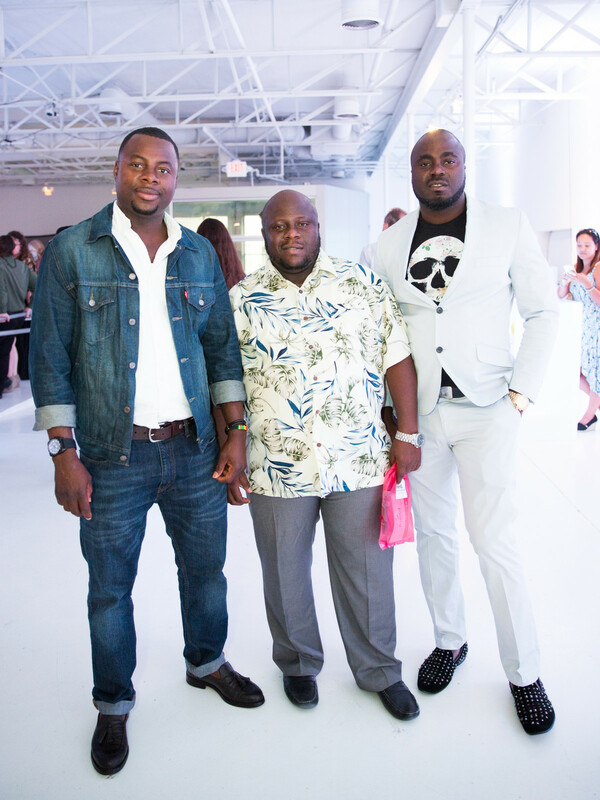 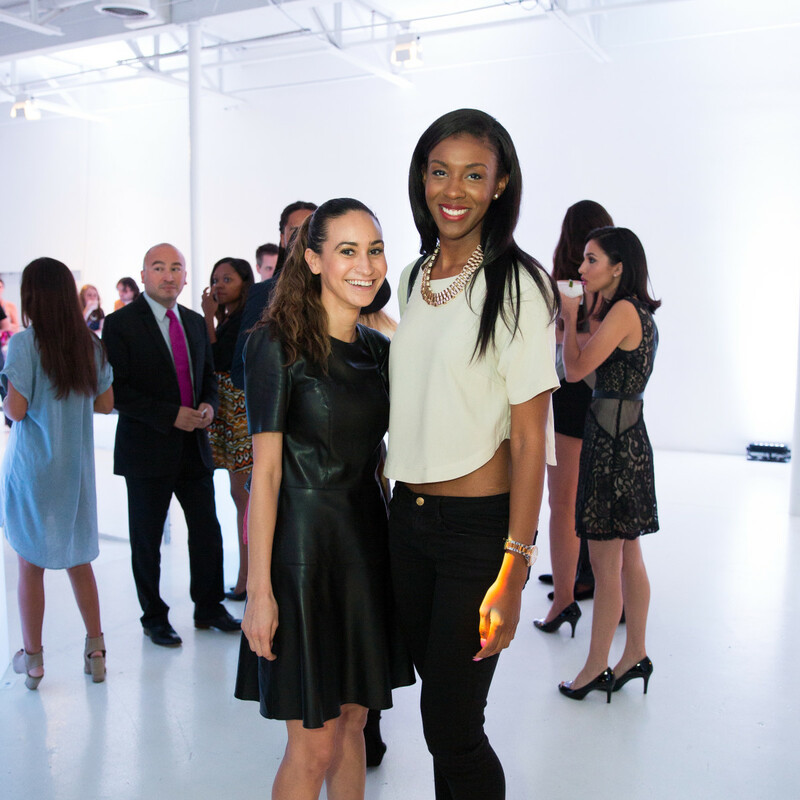 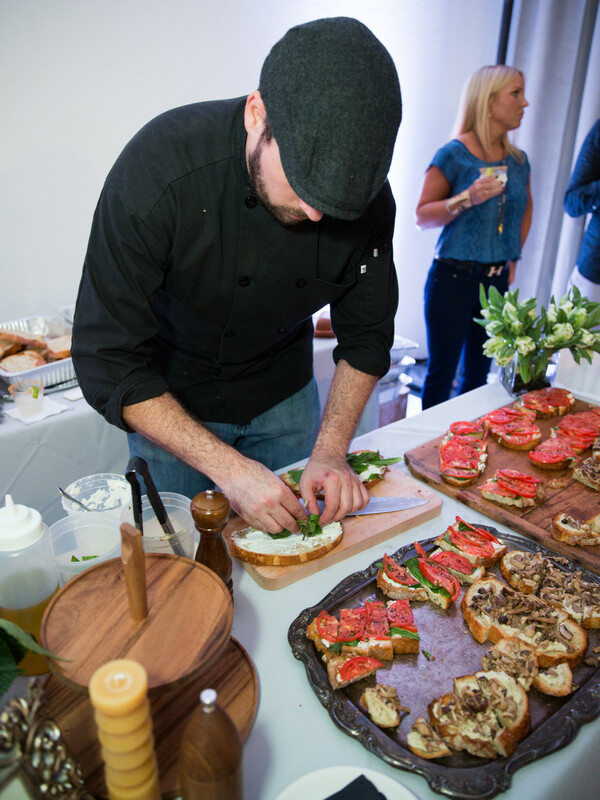 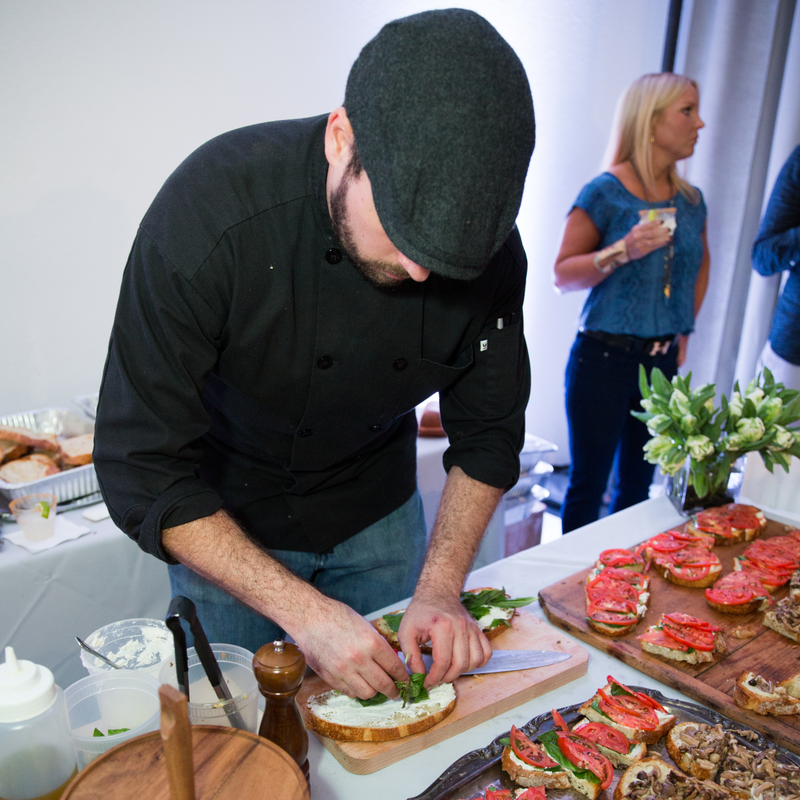 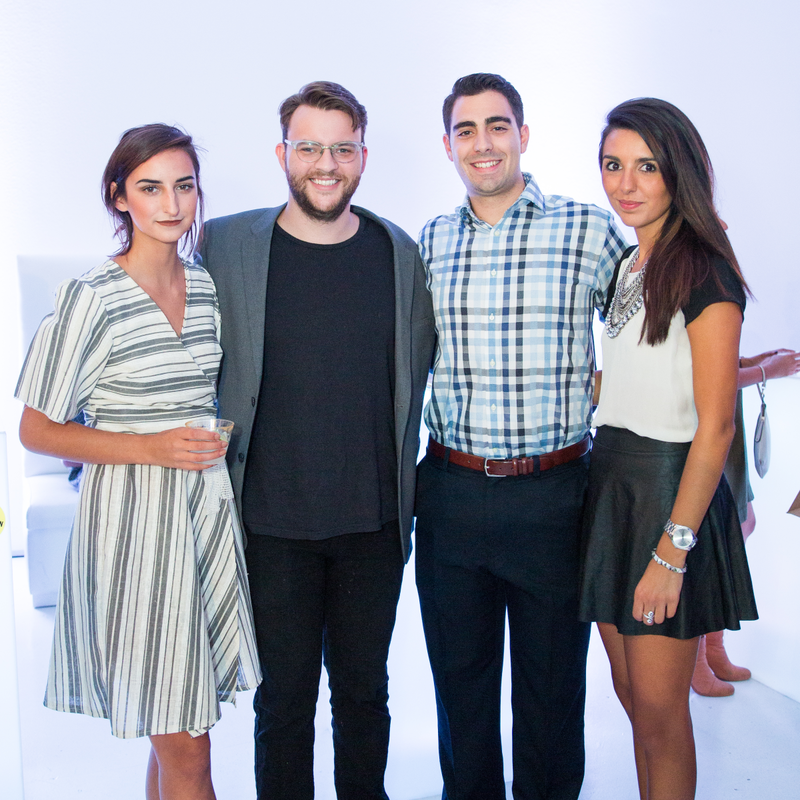 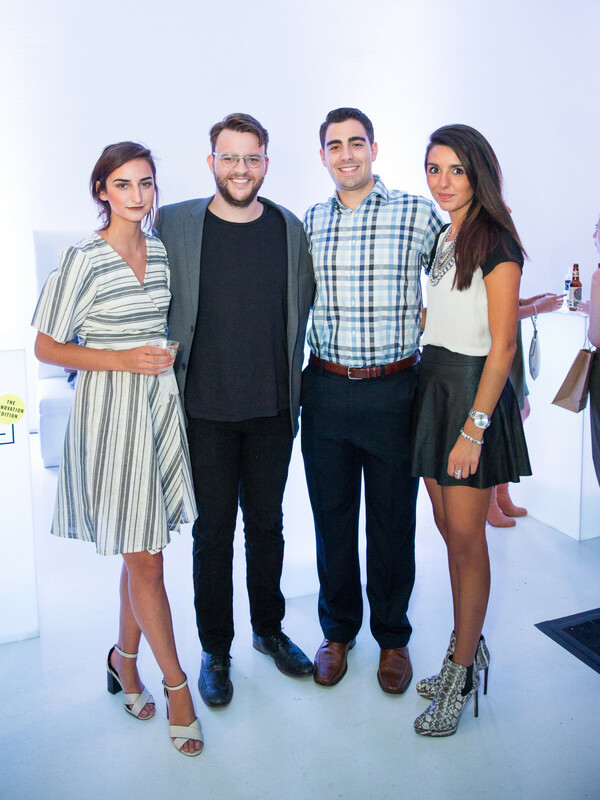 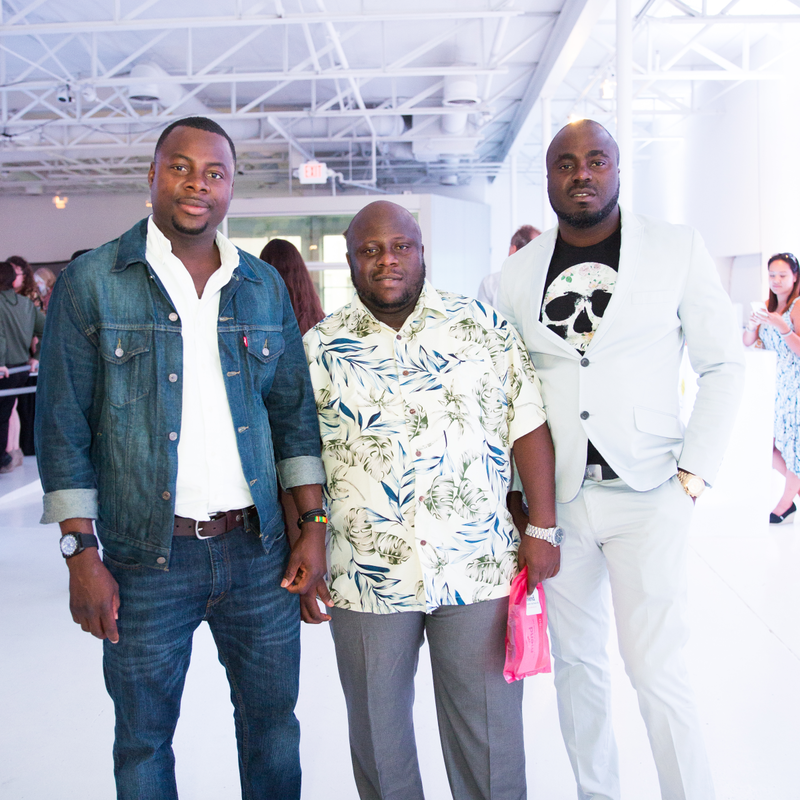 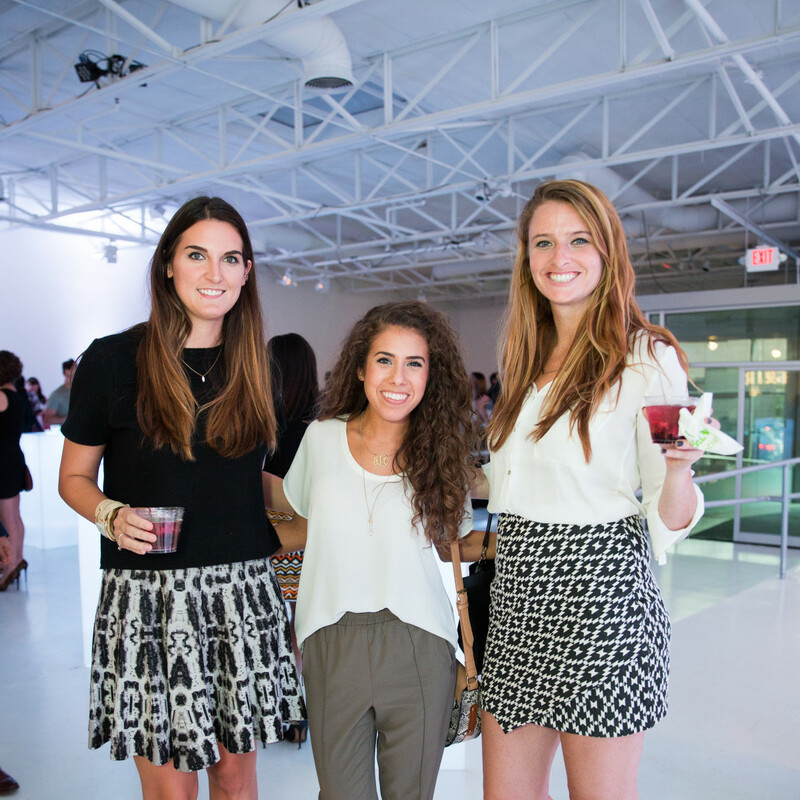 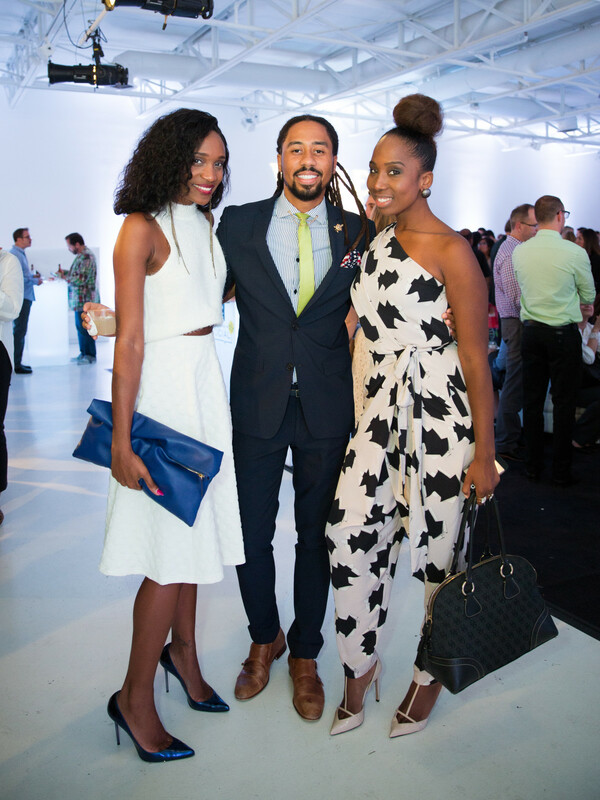 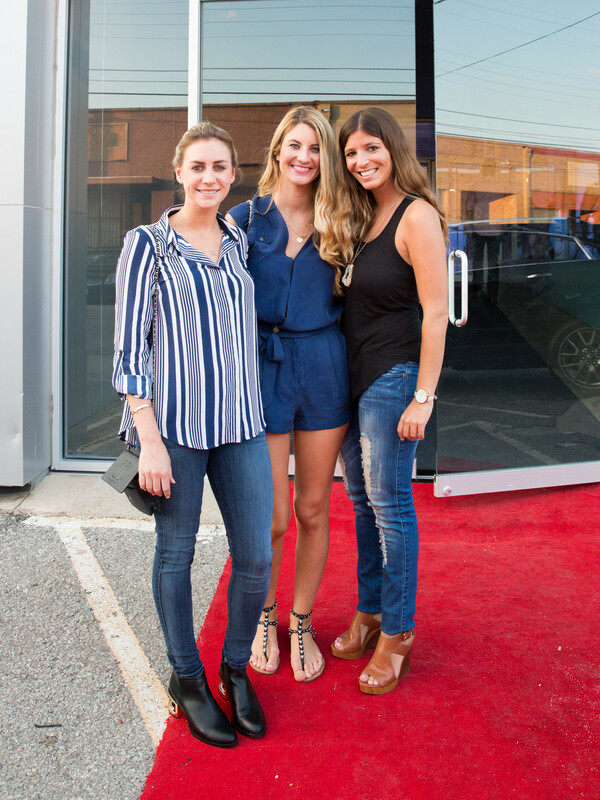 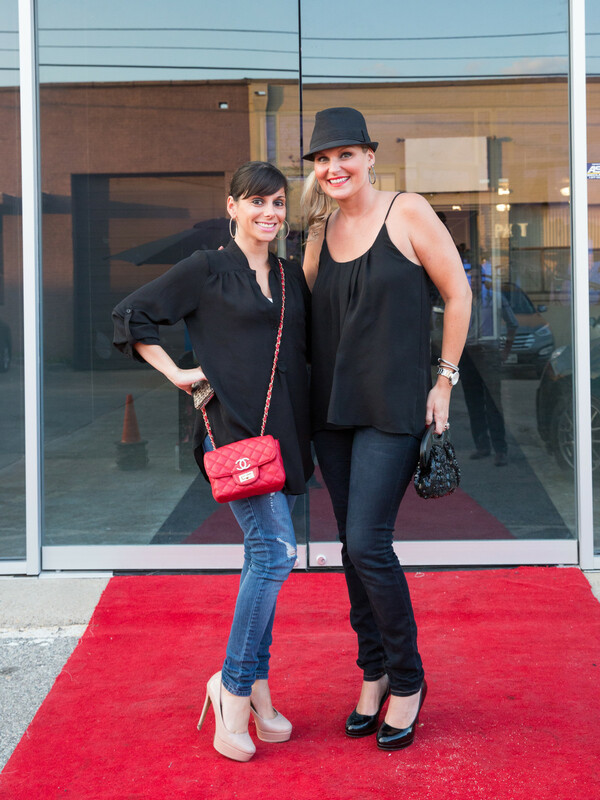 The evening's theme was innovation, which could be seen in everything from the food and drinks to the activities occupying every corner of 129 Leslie in the Dallas Design District. 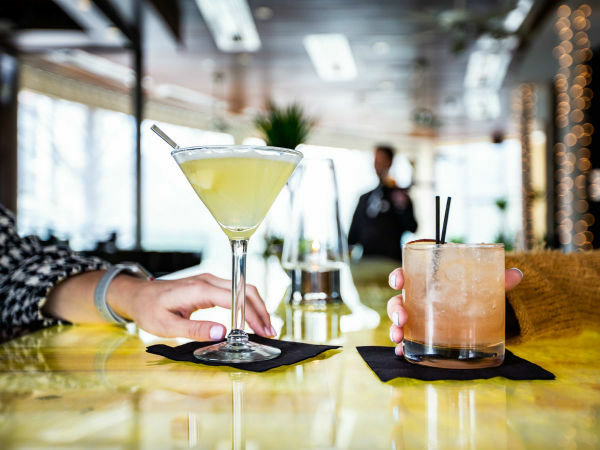 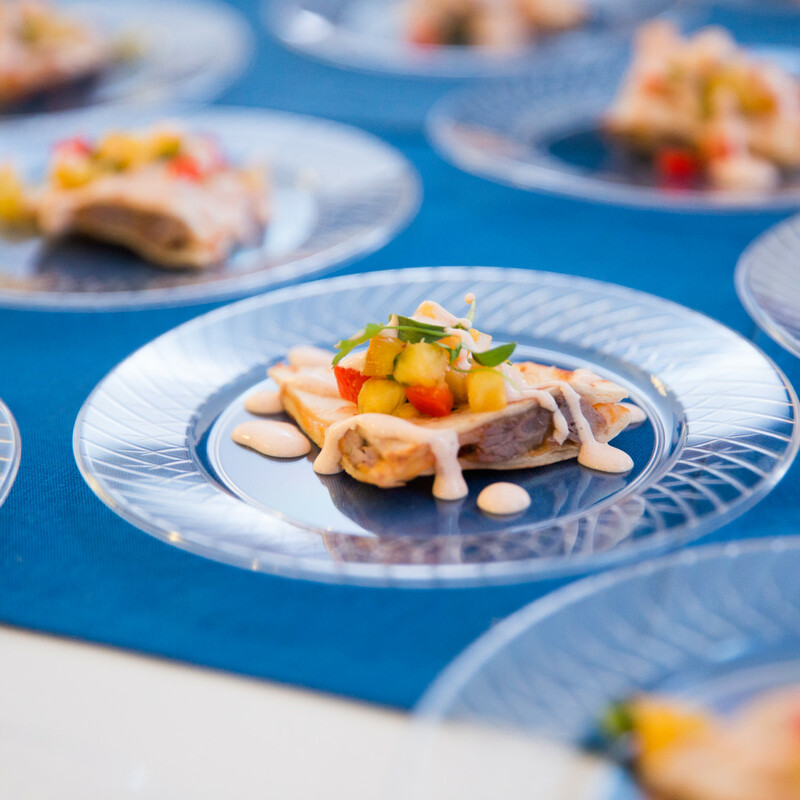 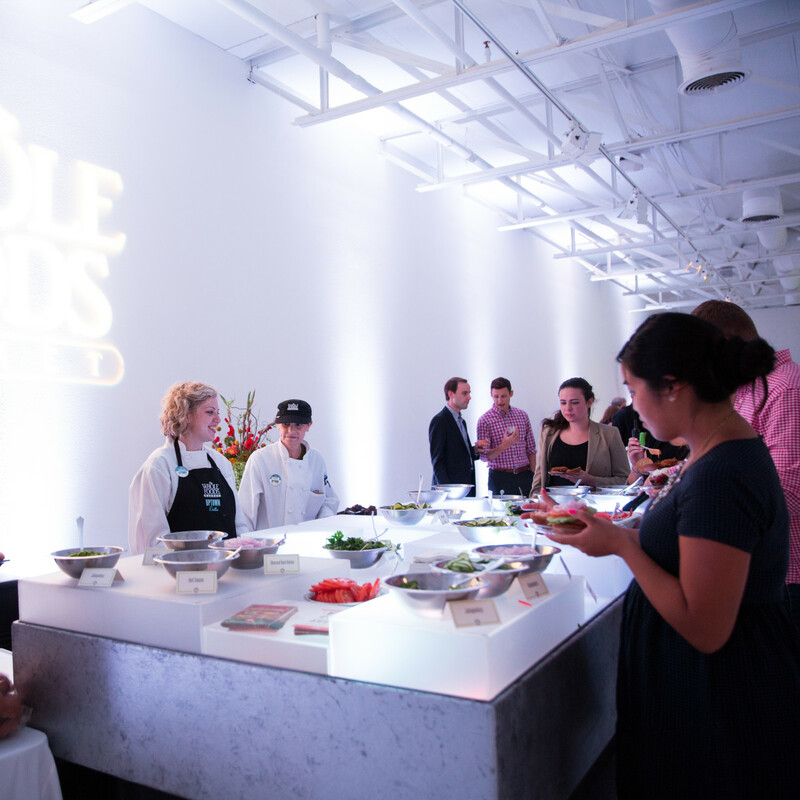 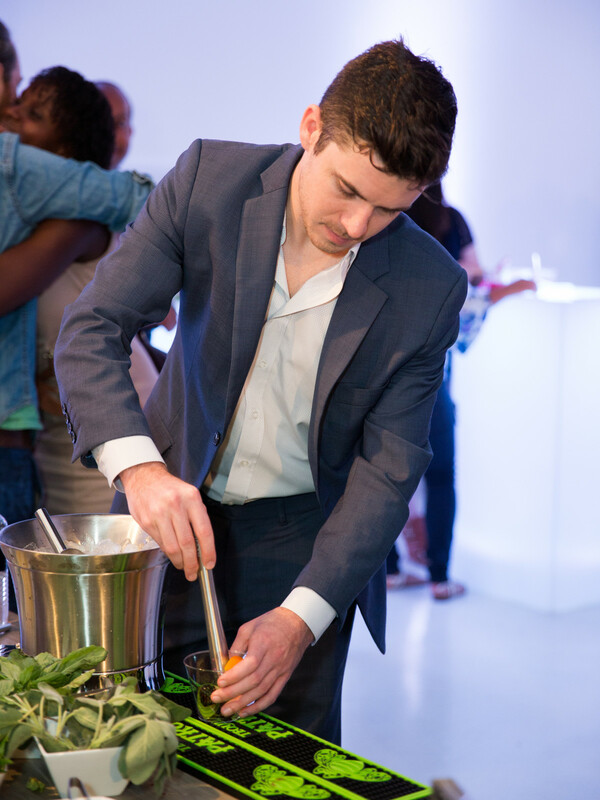 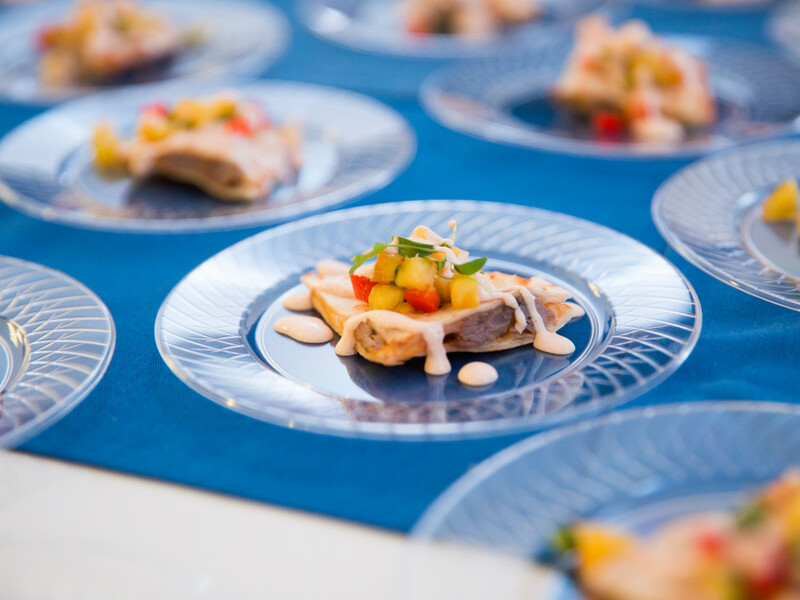 For example, guests were encouraged to play mixologist, designer, and chef, while also taking a virtual trip to Mexico and prepping to stay healthy through the winter. 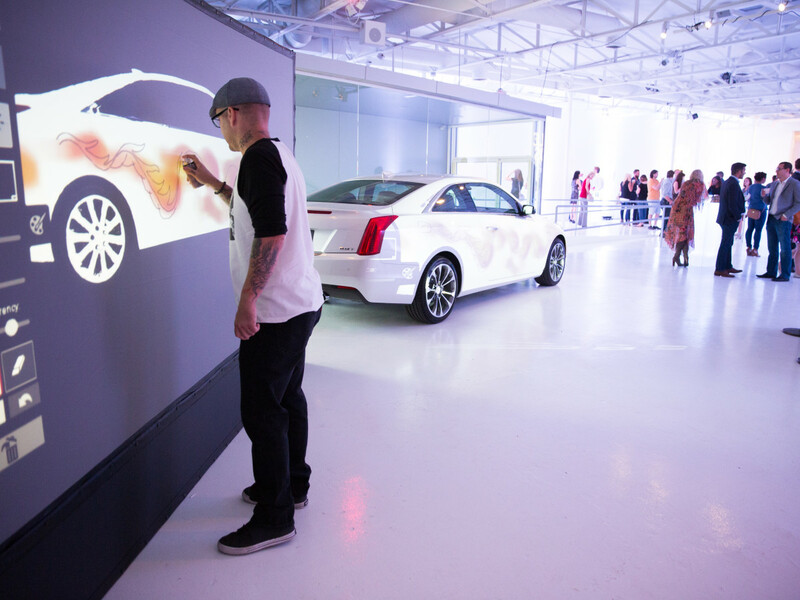 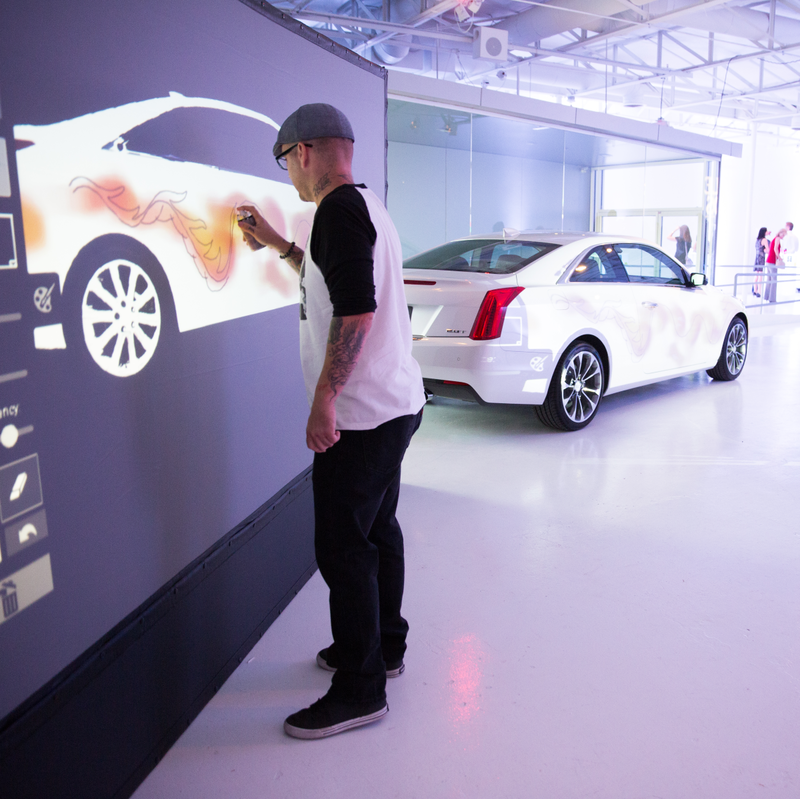 Sponsor Cadillac gave attendees — including Trey Bowles, Michael Sitarzewski, Nick Clark, Melissa Rountree, Linda Snorina, Rhonda Sargent Chambers, Gray Reed, Catherine Giudici, and Stylemaker finalists Kendall Eckerd, Javier Burkle, Nicole Bulcher, and Nelson Huff III — the chance to "customize" an ATS with the Air Graffiti booth, which projected the designs onto the car. 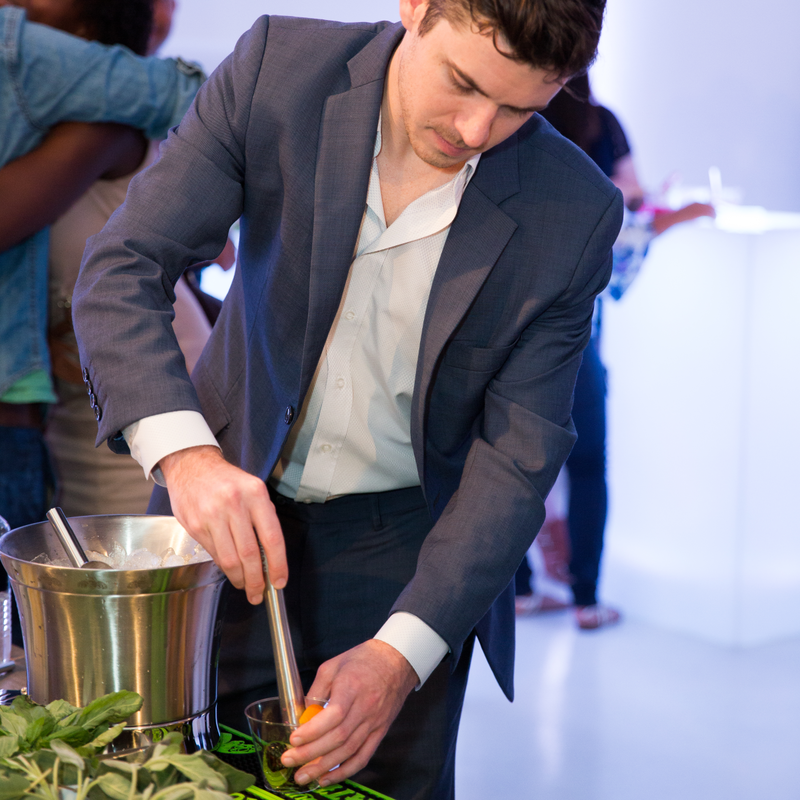 Patron also tapped into everyone's creativity with a make-your-own-cocktail station. 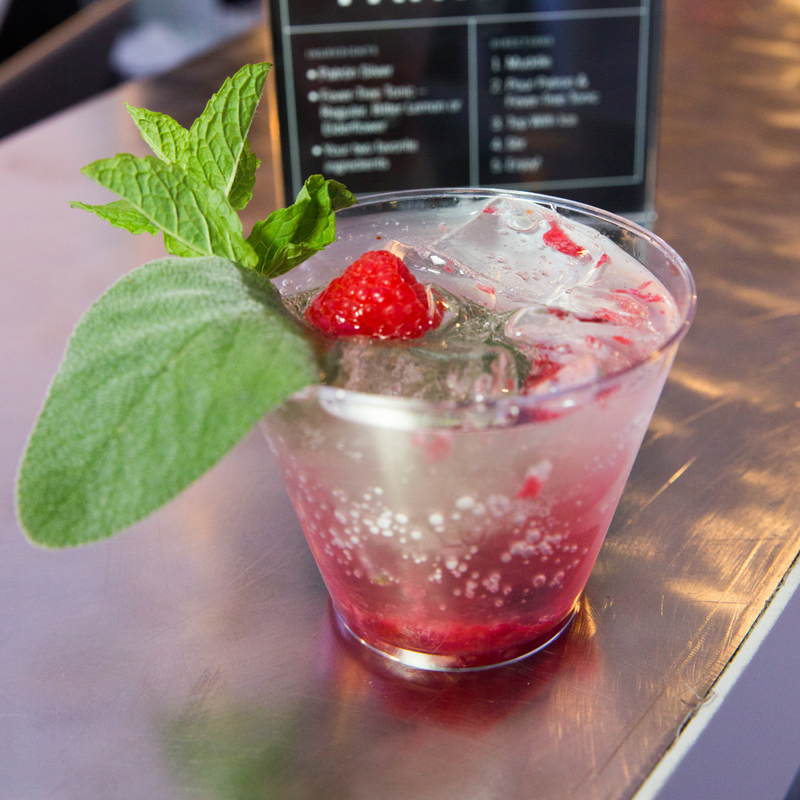 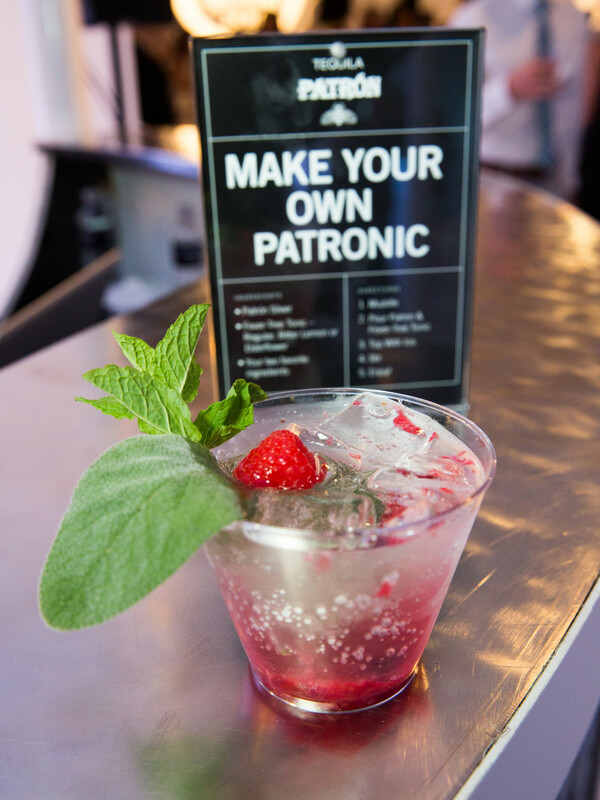 Berries and herbs were available for muddling, and a choice of tonics and a splash of Patron topped off each drink. 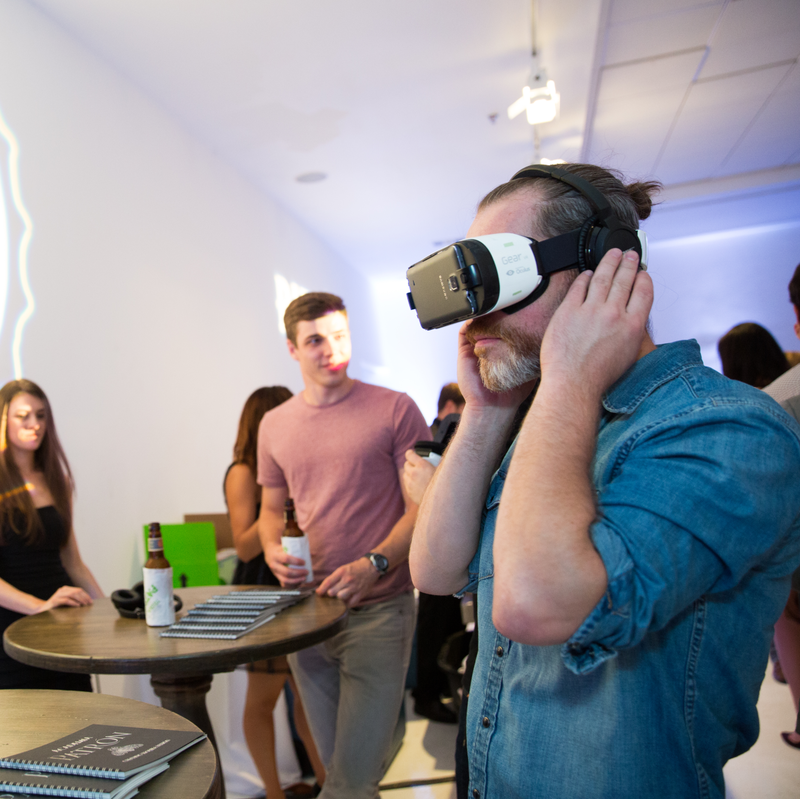 The tequila brand also brought Oculus goggles to take partiers on a virtual reality tour of its Hacienda Headquarters in Mexico. 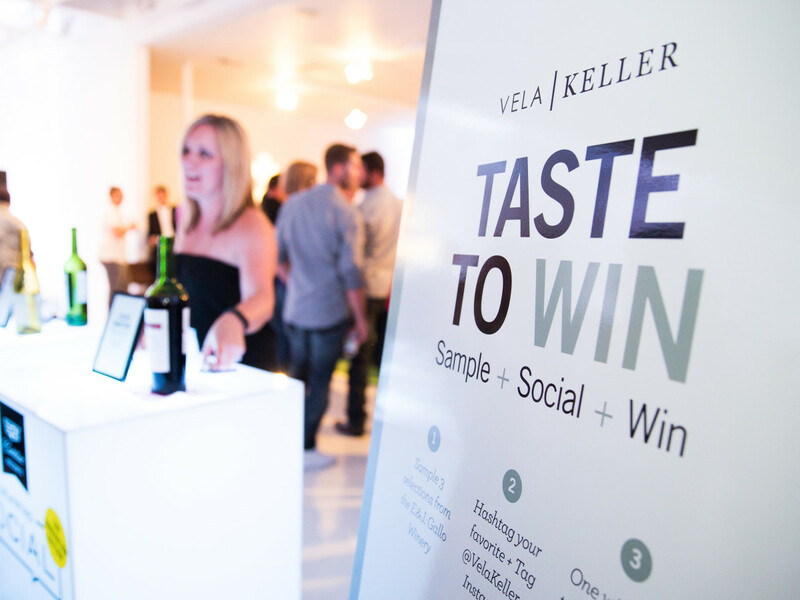 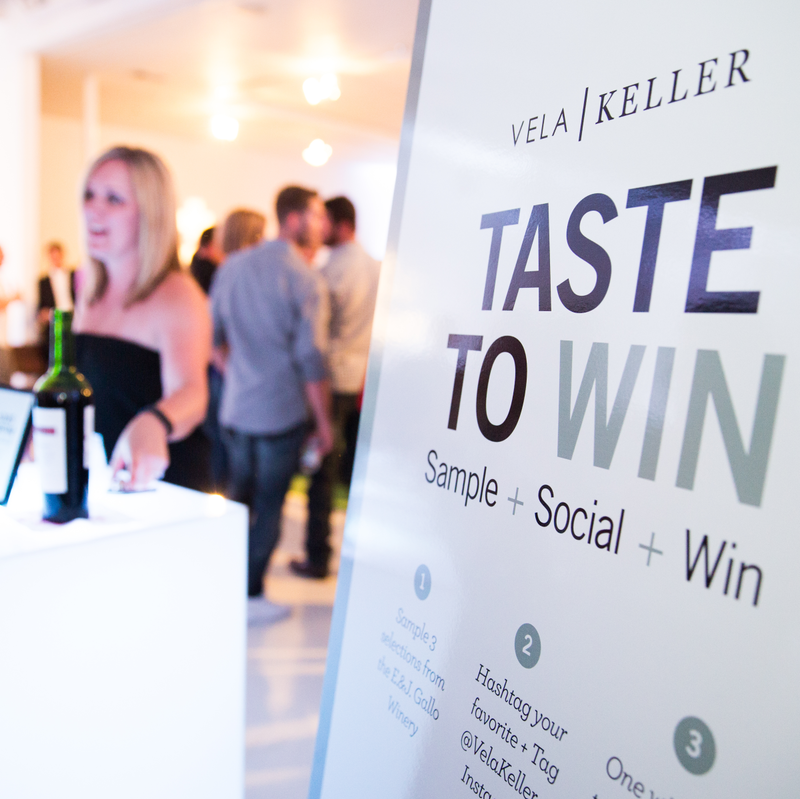 Vela Keller hosted a tasting lounge with E&J Gallo Wines, where one lucky tippler took home their own case of vino at the end of the night. 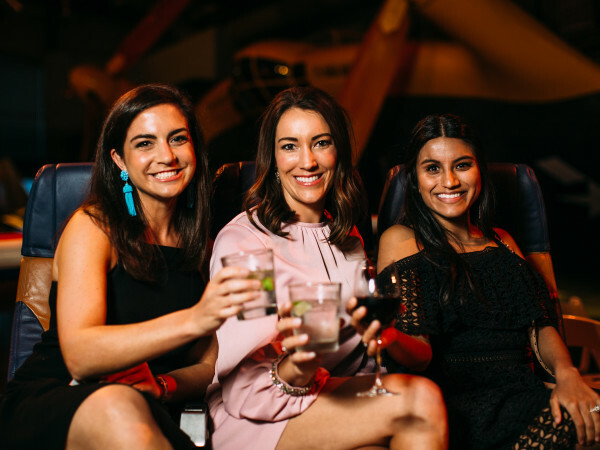 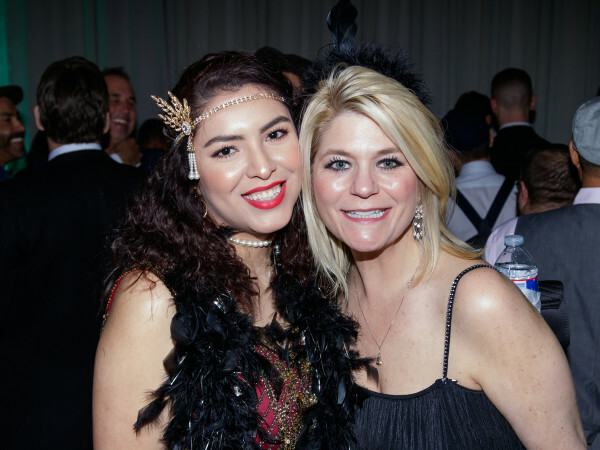 As the roomful of pretty young professionals worked up an appetite dancing to the beats of DJ Steffi Burns, Odell Brewing Company was on hand with a selection of beers to complement the wine and Patron mango margaritas. 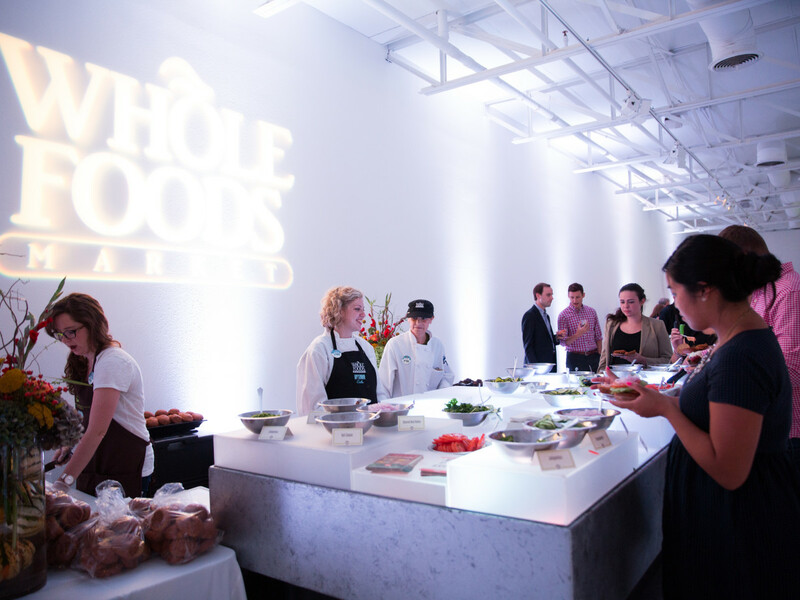 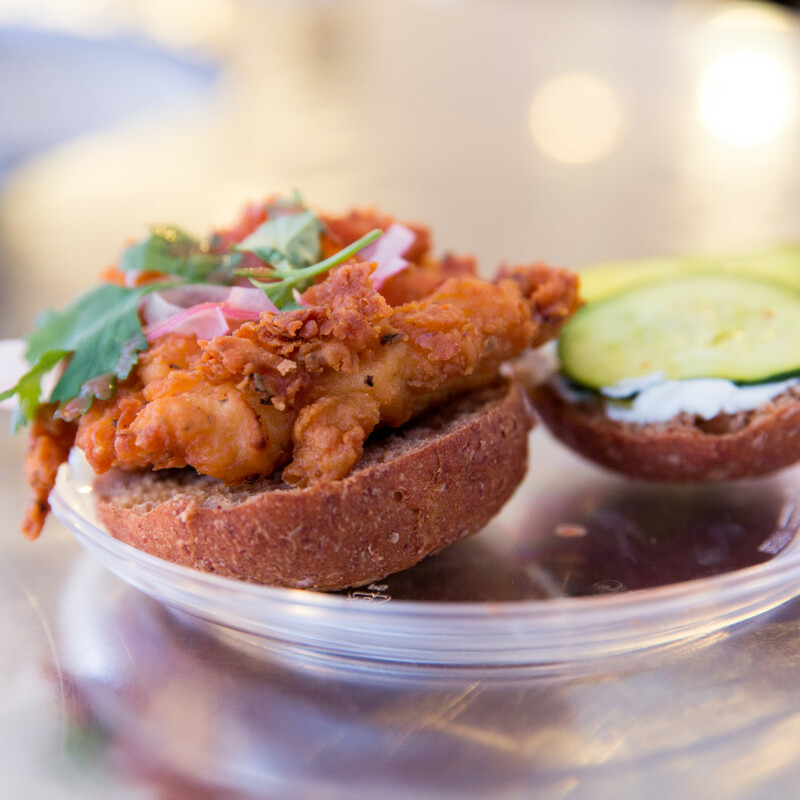 When it was time to refuel, bites from Primo's Tex-Mex Grille and Bowen House and a hearty custom slider station — featuring beef, fried chicken, and falafel — from Whole Foods filled every belly. 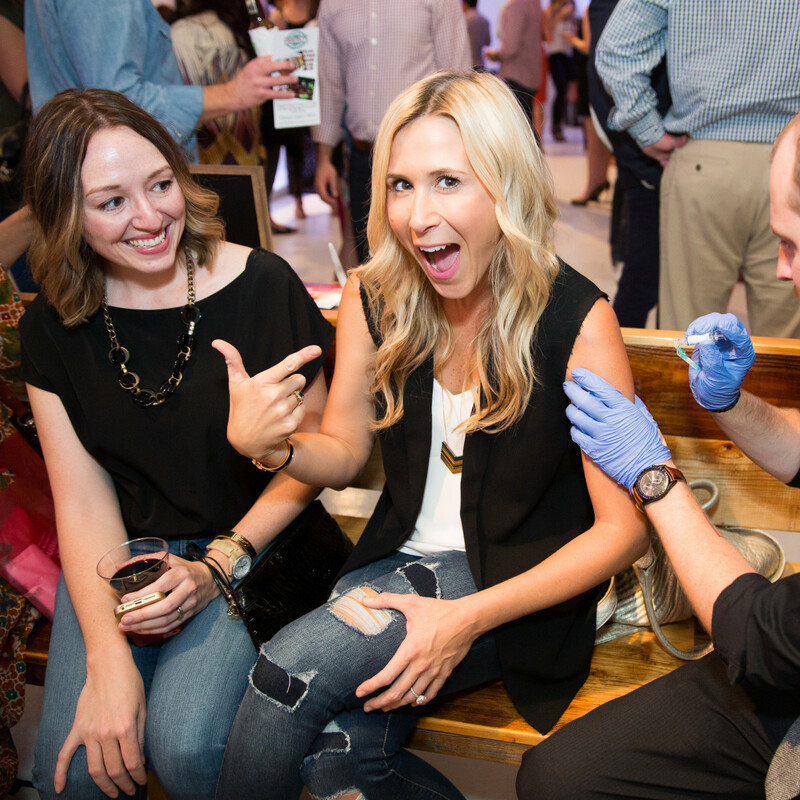 In between the drinking, dancing, and chowing down, guests were also given the opportunity to receive a free flu shot from Mend, the on-call, at-home medical service. 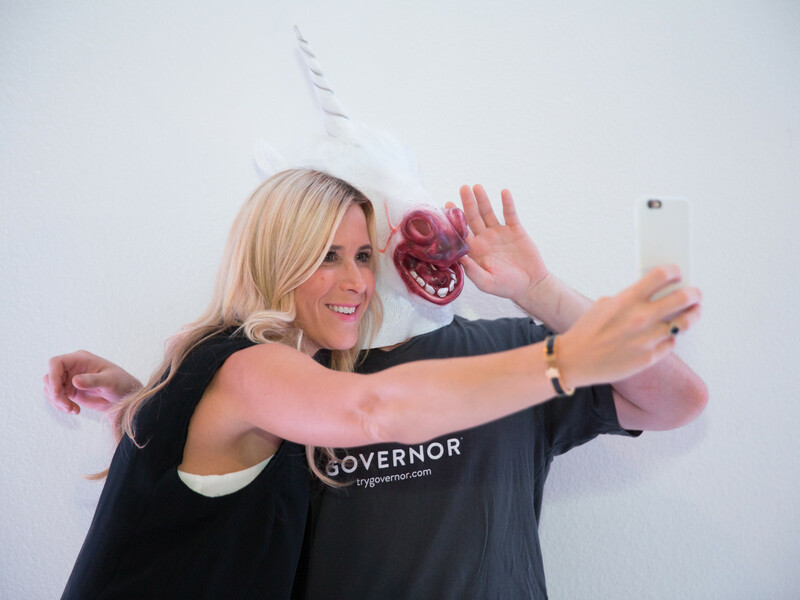 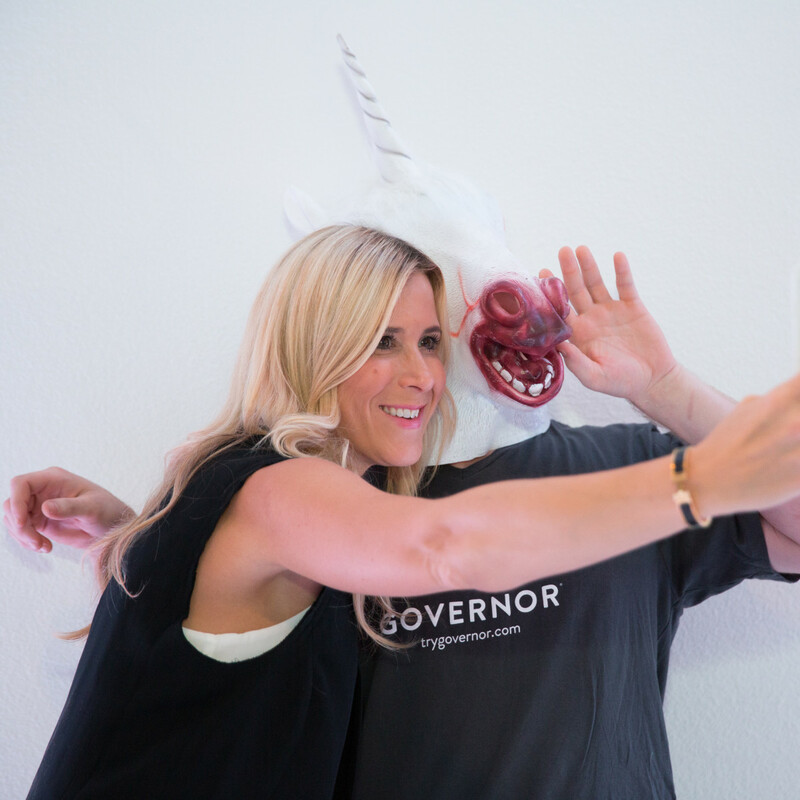 Also interesting was the mystery man donning a unicorn mask, who turned out to be popular with the ladies taking selfies. 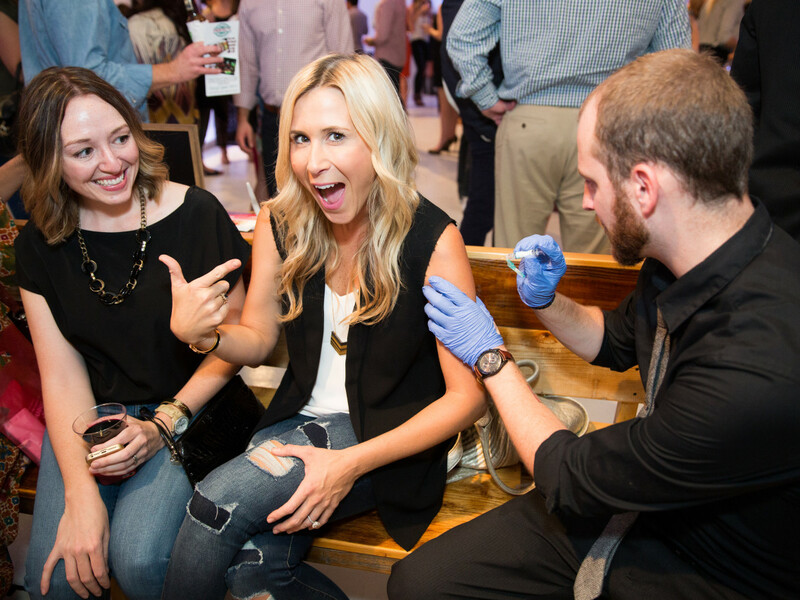 As the party was winding down, the must-have swag bags — filled with goodies from Camille Coton skincare, Laundri, Level 3 Active, Mill No. 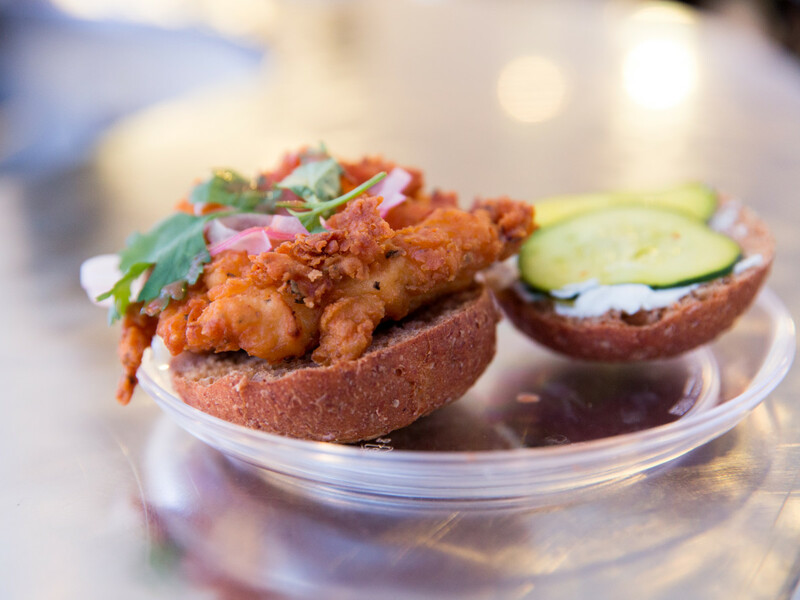 3, and Tiff's Treats — were flying out the door. 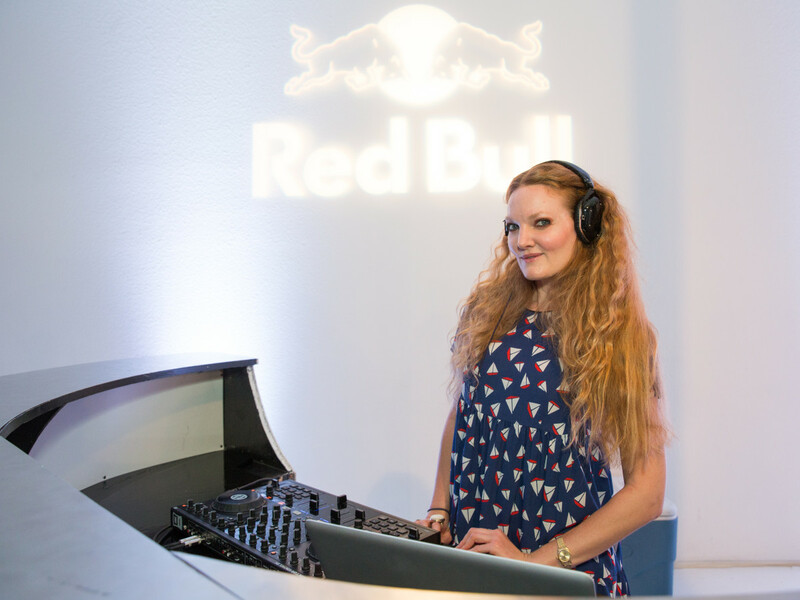 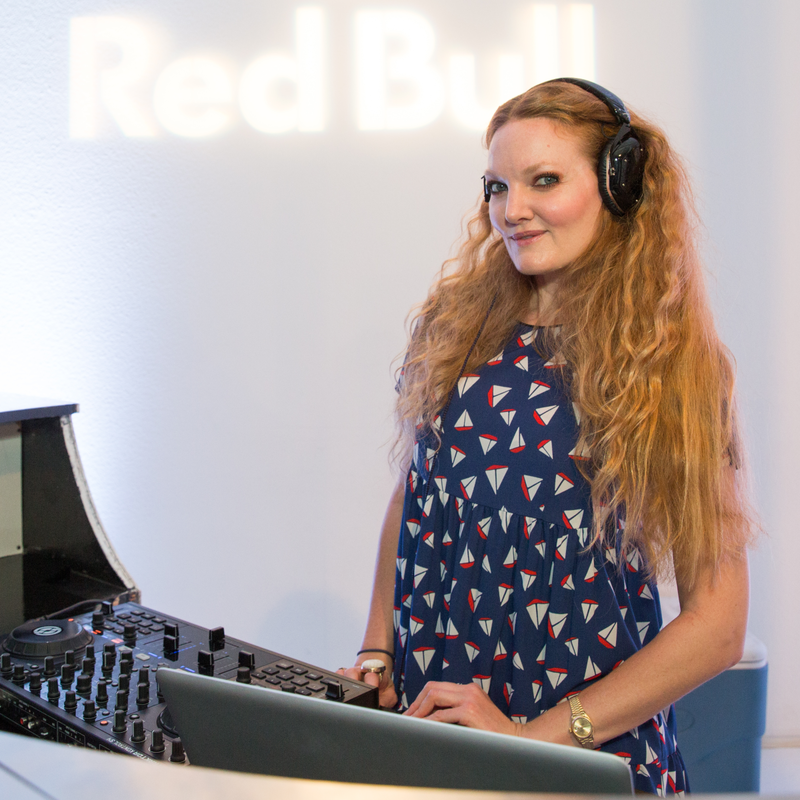 Red Bull also hooked up guests with tickets to Red Bull Sound Select, happening October 1 at the Bomb Factory. 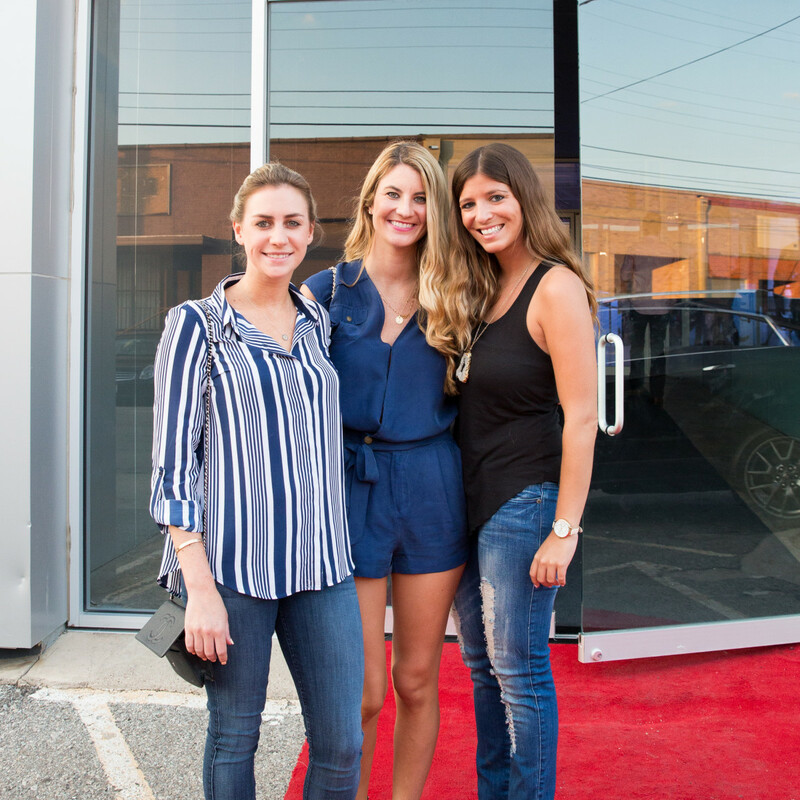 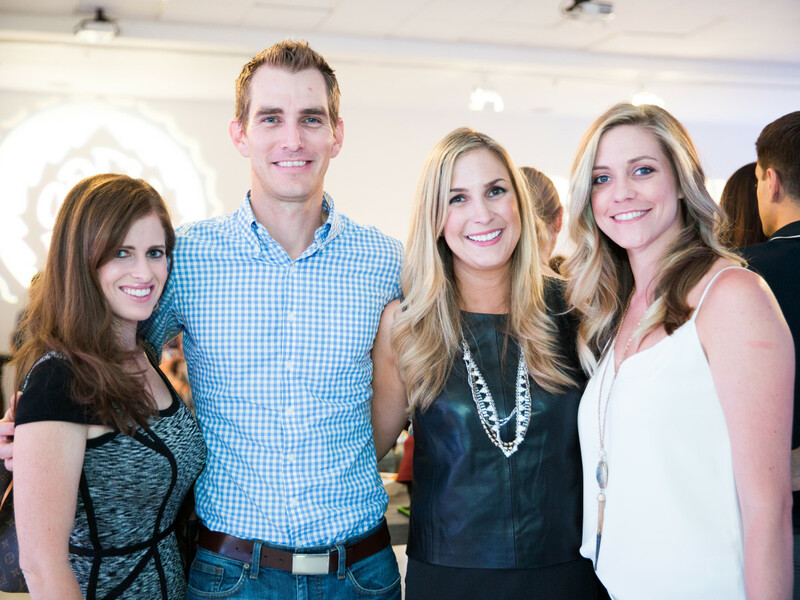 Startup and entrepreneur partners Common Desk, Dallas Entrepreneur Center, Digital Dallas, Fort Work, and Launch DFW ensured we all had a great time, one that can only be topped by the next social in 2016. 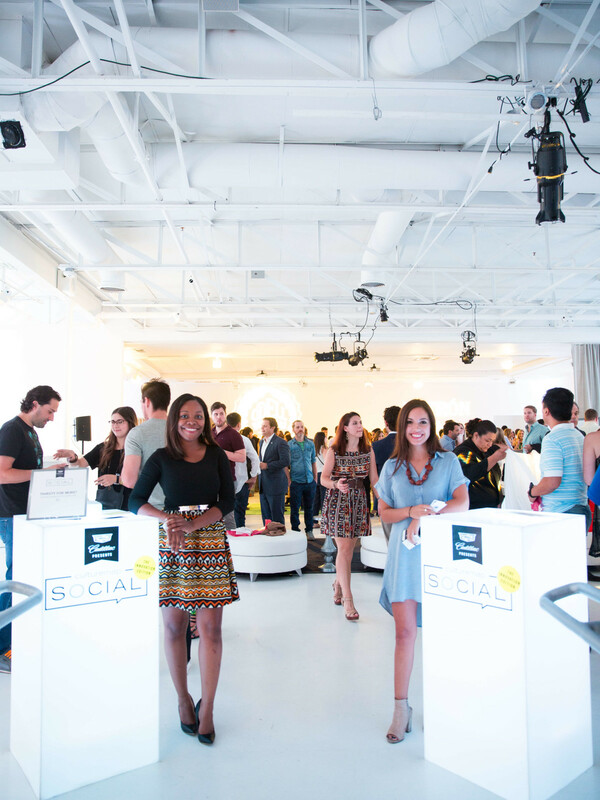 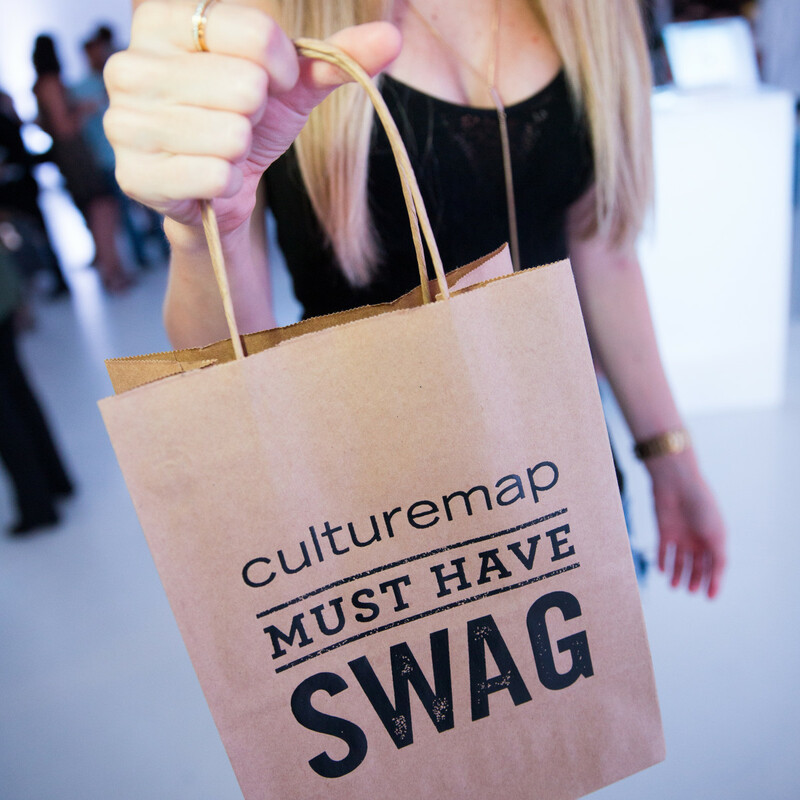 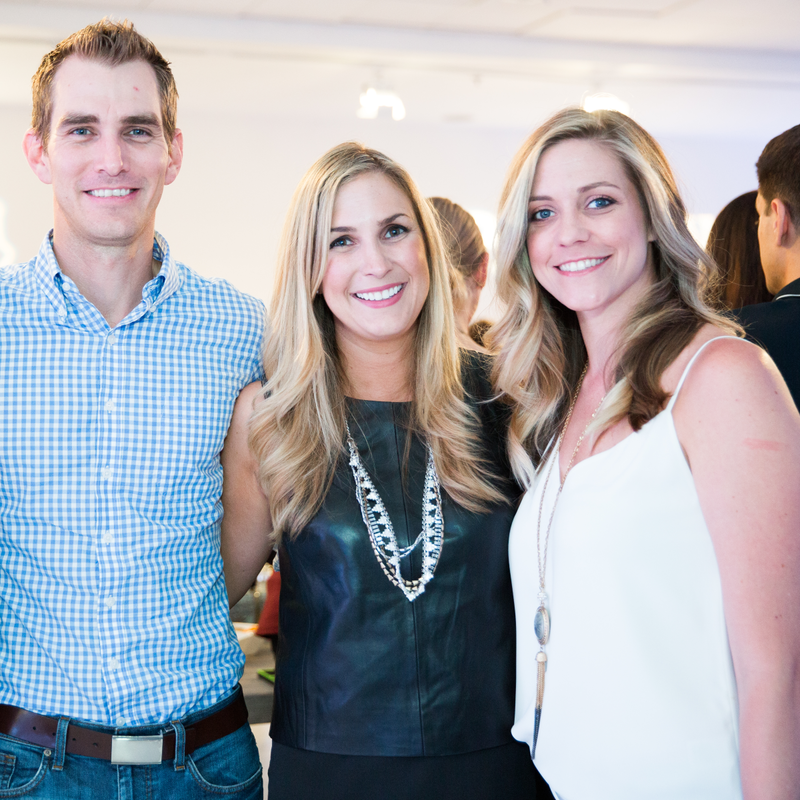 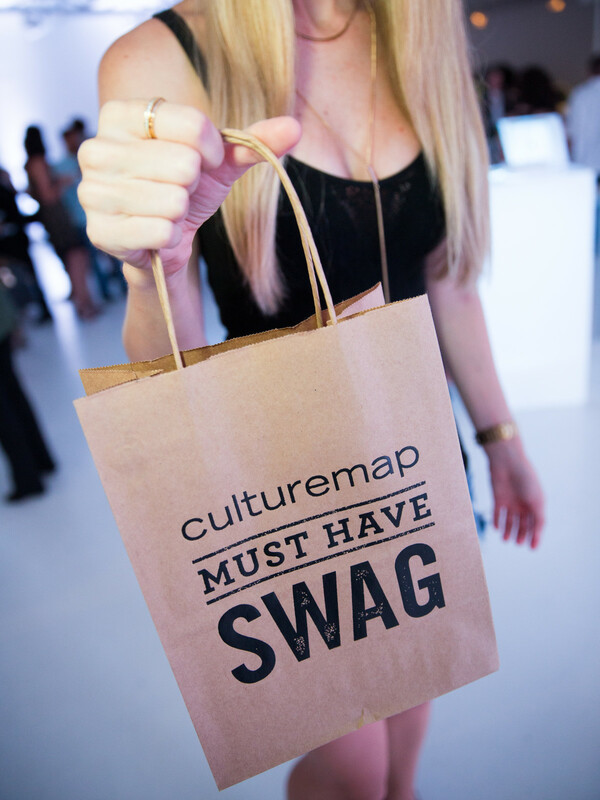 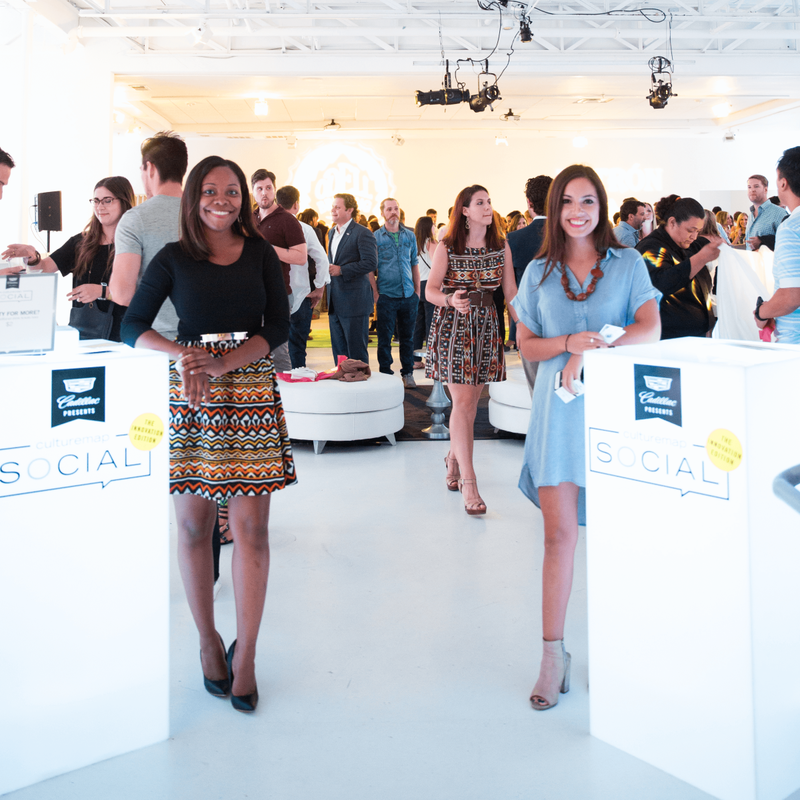 For scenes inside the CultureMap Social: Innovation Edition, watch the video.